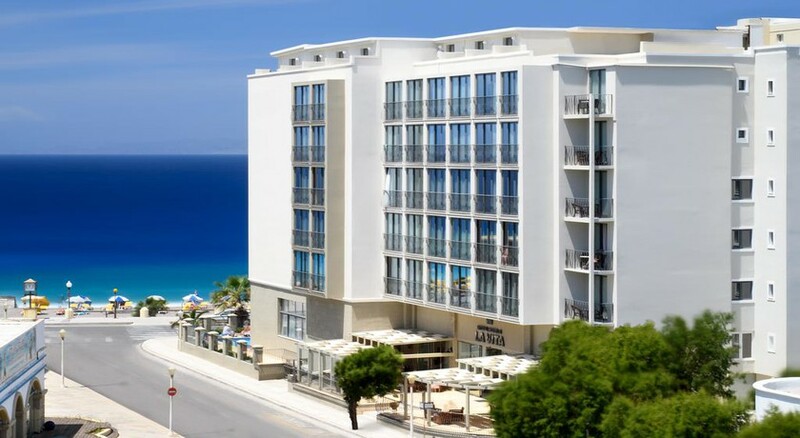 A stunning 4-star beach hotel, Mitsis La Vita Beach hotel is situated on a pebbled beach, quite close to the Aquarium in Rhodes town. 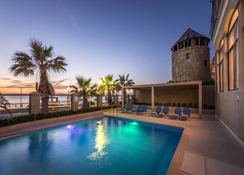 Guests can soak in the delightful outdoor swimming pool or bathe in the sparkling Aegean Sea on the beach. Set aside the beautiful island of Rhodes, Mitsis La Vita Beach Hotel is just next to the islands old quarter and the popular Mandraki harbor. There is a casino nearby and also a plethora of eateries and bar to cater to all tastes and preferences. This hotel is perfectly suitable for large families or couples seeking some modern amenities in a hotel. Guests set out on their bikes or on their foot to explore the beautiful town of Rhodes from Mitsis La Vita Beach Hotel. The front desk also arranges for car rentals on request. The beautiful Ellie Beach in the neighborhood is the most preferred destination for tourists who wish to laze around at the beach. 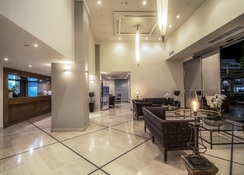 Set besides the beach in Rhodes, Mitsis La Vita Beach hotel is just 15 km from the airport. The old city of Rhodes is at a distance of 1.2 meters from here. Guests can find free parking near the hotel premises. 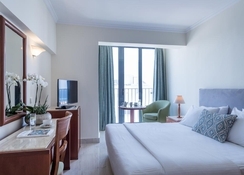 The rooms at Mitsis La Vita Beach hotel boast of neutral and soft tones with luxurious looking marble flooring. Every room has air conditioning and a mini fridge. A private bathroom with hairdryer and basic toiletries is also attached to each room. Other amenities include a direct dial telephone, radio and an in-room safe. Guests can relax watching their favorite shows in the satellite TV provided in every room. The property has 126 rooms. A buffet breakfast is served every morning in the property’s restaurant. Dinner is served at the Grand Hotel at 8.30 pm. The hotel’s lobby bar serves delightful snacks and drinks. The lobby bar serves some of the choicest spirits and cocktails in town. 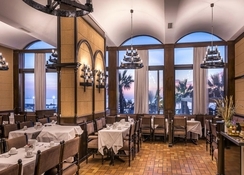 A buffet dinner is also served at the Mitsis Petit Palais located nearby. Guests can relax in the lobby or soak in the inviting outdoor pool of the property. The sparkling Aegean Sea and the beach are steps away, great for soaking up the sun. There are water sports facilities on-site. The hotel offers bike and car rentals too. Had a fab time, in a fab hotel.